Toyotas, iPads and Galaxies... Oh My! Waiting for my vehicle to be serviced has never been so exciting! Yesterday as I waited for my Toyota Rav4 SUV to be serviced in the dealership's waiting room, I experimented with iTelescope.net on my iPad. iTelescope.net does not recommend using Safari for a web browser (only Firefox and Chrome), however, because the Toyota dealership had such good wi-fi reception, I thought I would experiment and make an attempt imaging a galaxy from iTelescope.net's remote robotic telescope location at Siding Spring Observatory, Australia. The iTelescope.net remote robotic telescope "Launchpad" page in Safari worked flawlessly until I got to the "One Click Image" page that lists a catalog of recommended objects with the exposure times already programmed. I was not able to execute the "Submit Image" button. The workaround for this was to go into the "Single Image" page and manually set the object desired as well as the exposure settings. After inputting the settings, the "Acquire Image" button worked just fine. 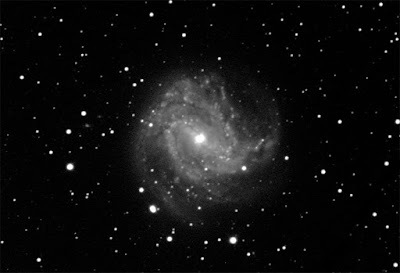 The object I imaged was the barred spiral galaxy, M83 in the constellation of Hydra. Messier 83 (also known as the Southern Pinwheel Galaxy, M83 or NGC 5236) is a barred spiral galaxy approximately 15 million light-years away. It is one of the closest and brightest barred spiral galaxies in the sky, making it visible with binoculars and small telescopes. 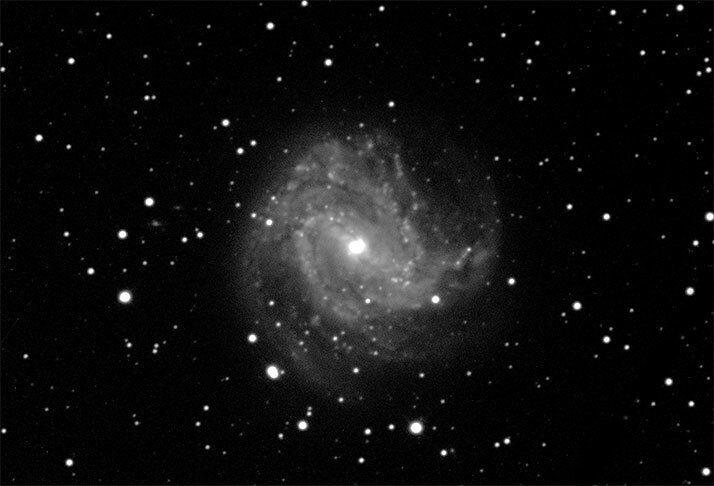 Six extragalactic supernovae have been observed in M83 making the object a good candidate for the part of a continued supernova search program. The instrument I used via my iPad to capture the above image of M83 was the Medium Deep Field (T9) which is a 12.5" Ritchey-Chrétien Cassegrain with a long focal length of f/9. This telescope is typically used for imaging & some photometry. 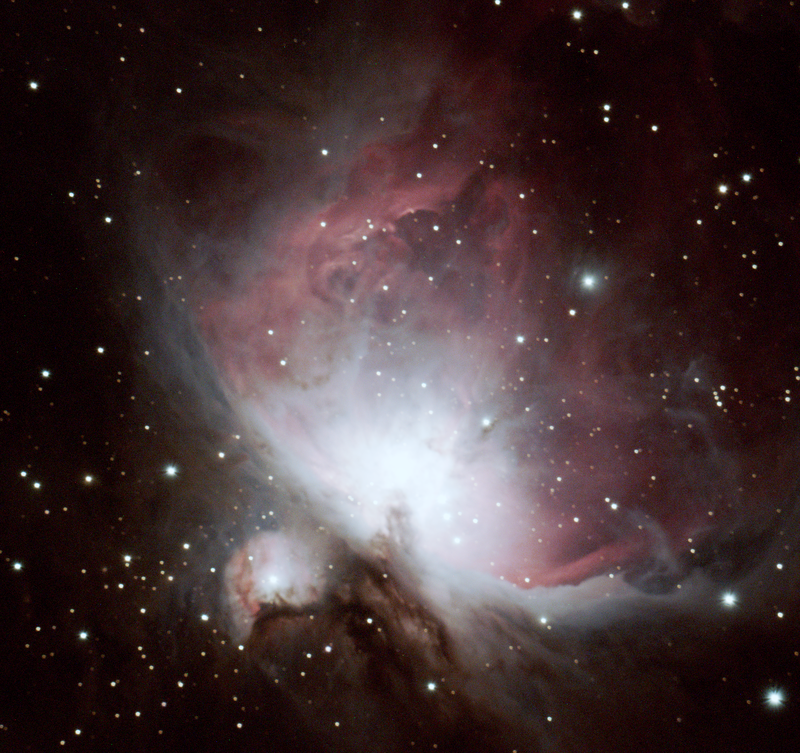 It has a selection of color imaging filters and a photometric V filter. Its teamed with an STL-11000M CCD Camera. T9 is a prime imaging platform in the southern hemisphere and is capable of brilliant narrowband imaging with several Astro Photo of the Day (APOD) prizes under its belt already. 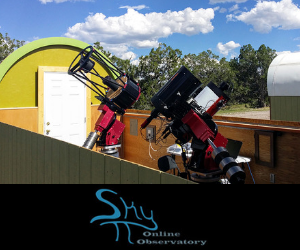 It is a highly reliable telescope which has enabled countless iTelescope.net users to capture southern glories as well as valuable science data. It has often been used in Hubble Space Telescope support missions. After having success imaging a galaxy visible from the other side of the globe, using my iPad, I feel that making appointments that require extensive wait times just got a lot more painless!